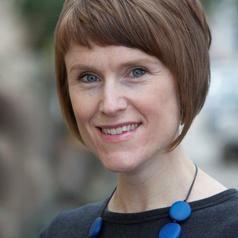 A/Prof Ainsley Newson is Associate Professor of Bioethics at the University of Sydney. She has a Bachelors of Science with first-class honours in human genetics, a Bachelor of Laws with honours and a PhD in Bioethics. She has worked in the field of bioethics, specialising in ethical issues in genetics and human reproduction, for nearly 20 years. Current technology, future autonomy: Ethics and Next Generation Genetic Sequencing in Children. Does knowledge of personal genetic risk of melanoma motivate behaviour change? A pilot randomised controlled trial. Genomic science: to fear or to friend? Using new genetic sequencing methods in children: Should context matter? ’It’s all in the family’, but should it be? Ethics and intra-familial organ, tissue and gamete donation.